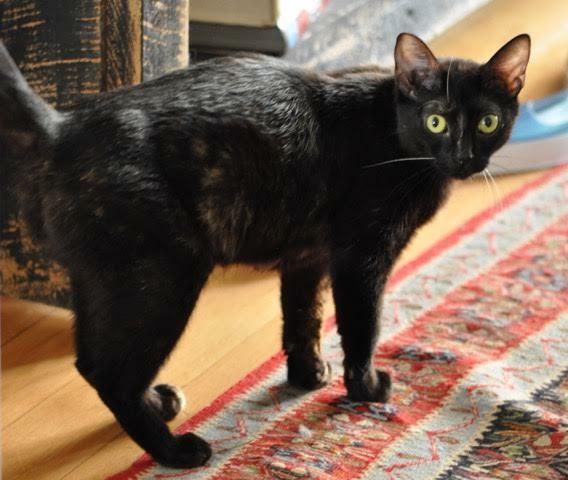 Roe is an extremely petite sassy tortie girl that has just finished raising her six kittens. Roe is a shy kitty looking for a family willing to give her lots of patience and love as she learns to trust her human housemates. Working with her foster mom Roe has quickly decided that she loves ear scratches and lots of attention. Roe only likes to be pet and held on her own terms- usually when you are sitting quietly with her on the floor however she is learning to relax a little bit more every day. Although Roe is extremely skittish she does show strong potential of becoming an amazing cat companion in a quieter home- she is super motivated by food and human contact. She is friendly with other cats and has a fun quirky personality. Roe will seek you out when she wants attention, is curious, precocious and talkative. 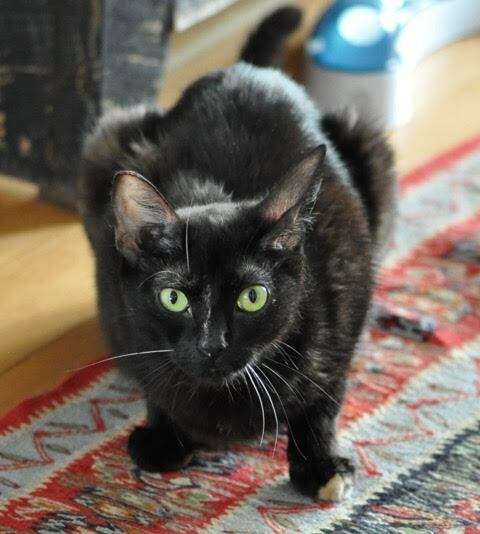 Roe needs a family that has a strong desire to adopt a special cat and will need patience to fully integrate her into their home. The rewards of winning the trust of a kitty like Roe are amazing. Please contact Pixie Project at info@pixieproject.org or call 503-542-3433 if you are interested in meeting her!